Eugene and Amelia had a private wedding ceremony with their closest family and friends on a beautiful Monday afternoon in mid-August at the Children's Chapel in Camden, ME. We have shot at the Children's Chapel before and it is a beautiful spot for a small wedding ceremony, surrounded by gardens. Amelia wanted her wedding day coverage to be almost exclusively photojournalistic, even the family formal photos were candid, which seem so much more beautiful and natural than the traditional portraits can be. They also made sure to leave lots of time for photos which is always great, especially in a place as beautiful as Camden! We had a great time going with them to several locations and then they went to the wonderful restaurant Natalie's at the Camden Harbour Inn for a private dinner with their family and friends. 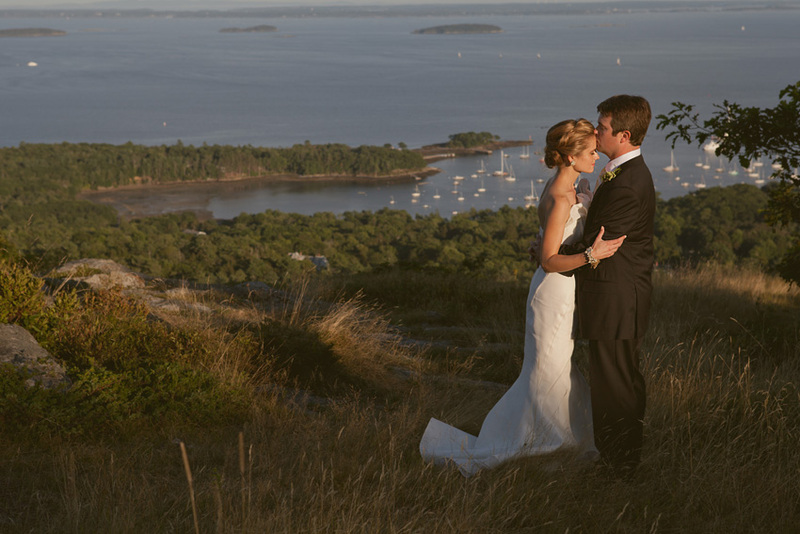 We love shooting these smaller, more intimate weddings. Thanks Eugene and Amelia, we're so glad you found us and had us document your day!